HELLO LOSTIES!!! Happy Anniversary! WOW, I can't believe a year has gone by since one of the greatest shows ever on television moved on into the bright white light. It has been one crazy year since. A fanbase divided straight down the middle on the legacy of the show, many shows vying to be the successor of said rabid fanbase, and everyone mourning and having a tough time letting go and moving on. You can count me as one of the fans who can look back fondly on the LOST experience without any regret. I think the finale still holds up and I do not believe it deterred from the 6 seasons that led to it. We got many answers along the way. Yes, there were some answers never provided, but there were also questions that were never questions. And there are still things to discuss to this day about the show which makes me think it will stand the test of time. No one can deny the experience we all went through over six years discussing this show. We tried to recreate that experience this past year with several other shows. While some got close, nothing yet has matched the power of that mysterious (create your own answer/theory) show about a strange mystical Island housing a bunch of tormented, damaged, broken people seeking redemption. I will gladly say, that even a year later, I have been unable to move on. In fact, to celebrate this anniversary, after typing this up I think I'll probably pop in the Blu-Ray and watch THE END all over again! So, there was a couple things I wanted to do today in this unforgivably delayed blog posting. 1st, I had promised I would share some findings from the LOST Encyclopedia that I bought last summer. There were a few things that I wanted to get to the bottom of when I first opened the book and I thought I'd share my findings, if anyone still cares! Maybe along the way I will reflect on the show and how I feel a lot of it tied together. Filling the LOST Void - Let's reflect on the past year of Television and talk about shows that attempted and somewhat may have succeeded in filling that LOST void. Shameless Self-Promotion - Even though LOST has ended, that hasn't stopped me from writing about television. I'll discuss what you've been missing and what you can anticipate if you decide to start following me and the loyal commenters at the TV Addicts Blog. That should keep us busy for a bit, right? Let's dive in after the jump! If you guys recall, before season 6 had started, I did have my checklist of questions that I wanted covered in the final season of LOST. While it was recommended to us to not have a checklist going into that final season, there were things that I still considered mysteries at least to me. We revisited in the middle of the final season too. I'm going to list below a couple of the ones that really bugged me and how they were addressed in the encyclopedia (blessed by executive producers Damon Lindelof and Carlton Cuse but not necessarily reviewed in detail). Okay, does everyone remember how this one goes? Throughout the series of LOST, Christian Shephard remained an integral character on the show both alive and dead. We saw visions of him after death both on and off of the Island. 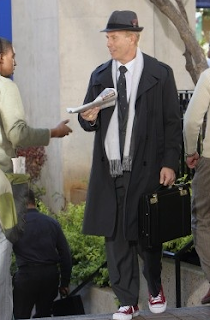 It was confirmed in the final season that the Man in Black, aka The Smoke Monster, was portraying Christian Shephard to Jack, Claire and John Locke. So, this made sense for most of the appearances, but it left a couple questionable one. 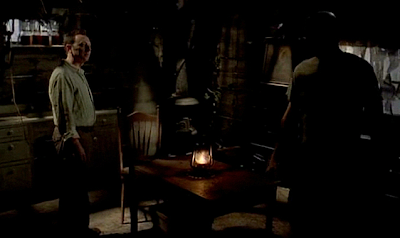 Jack, in the flash forward episode "Something Nice Back Home," was told by Ghost Charlie through Hurley that he would be getting a visit. Later in the episode, the smoke detector goes off at work and then Christian Shephard appears saying "JACK" and leading Jack Shephard to begin his downward spiral into drugs and alcohol and a most unfortunate beard. Back before we knew about Smokey's inability to leave the Island, I had pondered that the smoke alarm going off was a clear sign that this was smoke monster related. The encyclopedia does attempt to explain this little conundrum. They chalk it off as just Jack "seeing things". "He had visions of his father and began to fly across the Pacific Ocean every weekend hoping it would crash him back onto the island." "Smoke Alarm: Back in Los Angeles, Jack's experience of seeing Christian's form on the island led to him imagining seeing his father. In one such moment, as Jack heard the beep of the smoke alarm, he thought his father was in front of him." I guess it doesn't rule out that it was a ghostly vision of Christian. We know Hurley could see ghosts and Jack only did when Jacob's ashes were on the fire. But, based on how the show ended, all of these GHOSTLY visions we saw during the show were real and not in the character's heads. The "energy" or "spirits" of these characters lived on. Ghost Charlie, "I am dead, but I'm also here." But, if we want to go by the encyclopedia, then it was all in his head. "When Keamy's device remotely activated the freighter bomb, the whispers surrounded MIchael. A Vision of Christian Shephard appeared and said "You can go now," just before the freighter exploded. Michael remained a restless spirit on the island after his death becoming one of the infamous "whispers" that warned of impending doom. Michael even showed himself to Hurley to prevent him from blowing up the Ajira plane. In death, Michael's predicament could still be aided. When Ben and Hurley brought Walt to the island, Walt was told that just because his father was dead, it didn't mean he couldn't help him." That last part was explaining some of the epilogue where Hurley and Ben went to retrieve Walt. So it looks like a mission was to help "UN-WHISPERIZE" Michael. We had speculated that after the epilogue as well. So, I guess Christian sporting his non-suit/Island gear was just a coincidence on the freighter and we're meant to think this is a Ghostly vision of Christian appearing to Michael right before his demise. I guess since everyone else had visions of sideways land in the moments leading to their death (which were inevitably guided by Christian to the LIGHT), this syncs up pretty well. That was one thing debated after the show. Did the sideways events happen "AFTER" each character died or WHILE they were dying? I guess we just have to look at how Juliet died to get that answer. It seemed she was already experiencing her sideways world while she was dying and they got that candy out of the vending machine "IT WORKED." was her dying thought and what she wanted to tell living Sawyer. We saw Jack's dying moment coinciding with the events in the church also. I guess it's still up for speculation. But Matthew Fox even explained that he had heard some speculations that even though it lasts less than a "SECOND" in real time people have to remember their lives in death before they move on. Crazy stuff. Wow, I totally went on a tangent didn't I? Well, I did promise I would! So, can we declare the case of Christian Shephard mysteries closed? I'm gonna go ahead and close the book on it myself. Who was in the cabin when Locke and Ben Visited? We had speculated tirelessly on this one during the 3rd through 6th season. It overtook our comments sections as we tried to explain if it really WAS Jacob or if it was the Smoke Monster (later to be revealed as The Man in Black). The circle of ash played a big part in the debate. We learned in season 5's finale "THE INCIDENT" that the circle of ash was broken but we don't know WHEN it was broken. Apparently, this was the answer to the debate and I (among others) were probably just over thinking it. I think someone even explained to me that it was the case and I just didn't believe them. Sorry!! Basically, showing us in season 5 that there was an opening in the ring of ash, and then learning in season 6 that Smokey is hindered by the ash, was meant to explain to us that the crazy stuff going on in that cabin (during the season 3 episode "The Man Behind the Curtain") was in fact the Man in Black playing tricks on Ben. It was all there. Ben even explained later in season 6 that he was being summoned by the Smoke Monster instead of vice versa. He was being played for a fool in the longest con of the Island history. He never met Jacob, he had met smokey. Now, how Locke heard smokey say "help me" and Ben didn't. Well, I don't know! But, let's consult the encyclopedia for their description of this encounter. "After the Purge that wiped out the DHARMA Initiative, Benjamin Linus (the leader of the Others) learned that the cabin functioned as the dwelling for the mysterious figure to whom Richard Alpert answered - Jacob. 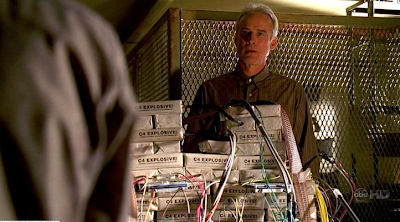 The cabin was encircled by a protective barrier of ash to prevent any hostile intrusions"
When Benjamin Linus took John Locke to the cabin, they failed to notice a breach in the circle of ash, meaning the protective shield against the smoke monster's presence was useless. Ben, who had neer seen or heard from Jacob, created a ruse to trick Locke into believing that Jacob was inside the cabin. Ironically, Ben didn't realize that something sinister was actually inside. Locke heard a low, ghostly tone say, 'Help me.' Further convincing Locke that this was an elaborate hoax orchestrated by Ben, Locke took his flashlight and scanned the room. But this made the cabin violently shake, causing a lantern to crash to the floor and starting a fire. As they fled the burning cabin, a figure was visible in a chair. This event left Ben extremely shaken, but Locke was convinced that Ben created the entire thing." I know I had always put too much time into thinking that Malkin would be heavily involved in the island conspiracy when all was said and done. And hey, maybe he was. How did he know that Claire had to get on Flight 815. It had to be THAT flight. It was the only way she would raise her child, right? Even though, Kate ended up raising Aaron for 3 years. We thought this meant Aaron had special importance in the saga of LOST. He turned out just to be a boy that loved his juice boxes and being called goober. But, that didn't help explain why Malkin knew about flight 815 or the fact that he told Eko that he was a fraud. If he was a fraud how did he know to get Claire on that flight? How did Eko end up on the same flight? Now that we know what we know, I would theorize that Jacob played a hand (no pun intended with all that touching he does) in Malkin giving this information to Claire and Eko. The encyclopedia does nothing except agree on how confusing this is. I guess it will go down as a mystery never to be resolved. But, I'll go with the Jacob theory until someone comes up with something better! - The father of Claire's baby (Thomas) would play no role in their lives. - If anyone else raised the child, terrible things would happen. Following the second reading, Richard began calling Claire, beginning her to keep the child. But after four months of harassing phone calls, Richard insisted that Claire fly to Los Angeles and give up her child for adoption. Even stranger, Richard gave her $6000 as an incentive and promised an additional $6000 but she had to take flight 815. Claire became convinced that Richard's ploy wasn't to get her to LA at all. 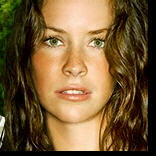 She believed it was to get her and her unborn child to the island." There you have it. They don't go any further to explain anything outside of what we saw on the show. So, it is a mystery that will reign on. But, we know Jacob played the main part of getting these people to the Island. Somehow he was involved. We know he visited Charles Widmore but we didn't see that. There's a chance he visited Malkin too. Maybe Malkin usually was a fraud, but this time he had inside information that led to his predictions being pretty accurate. Of course, it is interesting that since Jacob has a soft spot for mothers, that he would even want to put a pregnant woman on the island. And of course, if Claire never went to the Island we never would have known that conceiving a child off Island could lead to a perfectly fine birth ON Island while babies conceived ON ISLAND would cause the mothers to die in Child birth. (Post INCIDENT of course) I believe what we have here is considered a CATCH 22! (also the name of a LOST episode) This one will always bug me, the whole Malkin debate. But, I'm fine with it still being a mystery. Eloise's role in everything was pretty much explained in season 5. She was Daniel Faraday's mother. She was one of the OTHERS on the Island from at least 1954-1977 (even their leader in at least 1977). She had an experience in 1977 of killing her 30-something year old son who she still had not given birth to. She had access to her future son's journal which would allow her to predict many events to come, including Desmond's involvement with the Island "DESMOND HUME WILL BE MY CONSTANT". Desmond interacted with Eloise in a consciousness time travel back to the past before he was going to propose to Penny. Eloise already knew that he wouldn't give Penny the ring as he runs away from any commitment he ever makes. The only truly important thing he'll do in his life is push that darned button! We learn that is false as he goes on to lead a great life with Penny and his son Charlie. Not to mention, helping to FIX the broken Island by unplugging the cork and allowing smokey to be vulnerable to Jack's crazy fists of fury and Kate's bullets that she saved!! "Outside of influencing Daniel, Eloise continued to position herself in places that would help motivate some of the key future island players, like Desmond, in the right directions. She took a job as a salesperson at the antique store where Des was supposed to purchase an engagement ring for Penny. When he attempted to purchase one, Hawking demanded he give it back. She then explained his future in detail and gave him a lesson in the irrevocable nature of fate." There is a picture in the book of the man with red shoes and the caption just says "Eloise predicted the crushing fate of the man in the red shoes." That's it! No further explanation provided. So, I'll chalk it up to what I said above. Continuity issue but the message delivered was still important enough that it shouldn't be forgotten. Plus, it was a creepy and awesome scene! We all know that one of the biggest issues/unresolved mysteries was "what was up with Walt!?" I understand the producers had an issue with this one. The actor, Malcom David Kelley, hit a growth spurt faster than they anticipated. They were always going to have an issue though, judging by the pace of the show being slower than 1 Year per Season. I think season 1 wasn't even 2 months long. The plane crashed near the end of September and we didn't see Christmas until season 4! But, they also put a lot of mysteries around Walt, and summed it all up by just calling him "SPECIAL". We know he made appearances to Shannon, and appearances to Locke. He also had dreams "off island" ABOUT Locke being surrounded by people with guns who wanted to kill him. He also would make things appear just by visualizing them. Birds, throwing knives at specific spots on trees, dice during backgammon, and one could argue the Polar Bear he read in the comic book too. (Even though we know DHARMA put those bears on the Island! But, the biggest one that I always wondered about was the Ghostly vision of Walt to Locke. He was referred to as TALLER GHOST WALT and then it was never explained. If they just showed an older Walt and never made mention of him aging, I would have been fine with it! But they had to go ahead and say he was taller. So, WHY?! Was it time travel related? Was it Walt from the future warning Locke of something? It wasn't Smokey as we know he can only take the form of the dead. (and usually, outside of Richard's wife, the body needs to be on the island) I also wanted to know what Ben meant when he said they got more than they bargained for with Walt. I'm sure he just made some crazy stuff happen like he did with the bird, freaking out his mom's husband. "Birds would fly into windows and kill themselves." "Walt, dripping with water, appeared to Shannon and Sayid as a warning." "When Locke was in the DHARMA mass grave, Walt appeared and told him to get up." I guess we have to just go with the producers on this one. There was never more to look into here. Walt had special abilities, just like Miles and Hurley. Strange stuff happened around him. It was more than the OTHERS had bargained for so they let Michael take him off of the Island. Because of his special abilities he would still make appearances on the Island (to Locke) to help people out. Why he was older? I dunno, maybe he hit his growth spurt in those weeks after he left the Island. But, I'm sure that his appearances are tied to the dream he had of Locke being on the Island and surrounded by people that wanted to hurt/kill him. I had theorized that maybe his Dreams connected him to the Island somehow. We all know dreams played a part on the Island too. The encyclopedia does not explain much about dreams either. Bummer!! Ahh yes, you didn't think I'd let a "unresolved mysteries" post go by without mentioning this one, right!? This was my biggest disappointment in season 6. With such a set up in season 5 of the outriggers. One chasing after our time traveling LOSTIES (Locke, Juliet, Sawyer, Miles, Charlotte, Daniel). Juliet fires a shot and someone goes overboard on the chasing outrigger. We assume that since we are "in the future" we are eventually going to see the other perspective of that outrigger chase and see who was onboard. In the final Jorge Garcia and Girlfriend podcast (Geronimo Jack's Beard) they said that they did read something in a script that explained this but it was either never filmed or didn't make the final cut. Unfortunately, they didn't remember and never revisited it with another podcast or blog posting! I remember posting about this on our blog in the comments of "The New Man in Charge" epilogue recap and basically they said that it was going to be The Man in Black in an outrigger shooting at Sawyer or something. Weird, since he knows he can't kill them! Also, Damon and Carlton explained in an interview last year why they didn't cover this in the final season. The encyclopedia does make mention of the scene but do not go about trying to conclude it. "When Ajira Flight 316 landed on Hydra Island, outriggers became the principal mode of transportation between it and the main island by the flight's survivors, the Man in Black, and eventually Widmore's contingent. The increased use of these boats during that time was perhaps a key to the mysterious altercation that occurred during a time skip with Locke, Sawyer, Juliet Burke, Miles Straume, Charlotte Lewis, an Daniel Faraday. As that group explored the long-abandoned beach camp, they discovered two large outriggers, one of which contained a bottle of water with an Ajira label. Juliet and Miles recognized the airline as a contemporary one, so its presence inferred a different time frame. " This scene that we never saw wasn't going to make or break the show for me, but it was one I would have loved to see. And I wish we at least could get an explanation of what they planned on doing there! Anyway, that's it for encyclopedia references today. After all this time, I'm not holding onto many grudges about the show and what it did/didn't cover. I'm sure there are other mysteries that people would have wished they covered or at least covered differently. But, in my opinion, it was a television show that kept me engaged for 6 seasons. It made me care about characters that I felt had an amazing send-off in the final season, and especially the finale. I got the answers I wanted. If you have questions on certain things the Encyclopedia covers, you can ask in the comments and I'll try to look up stuff. But, I highly recommend purchasing the book if you're a fan of the show. It's a nice document to have to close the book (again, no pun intended) on this fantastic show. I just wish I would have more time to read it from cover to cover! Many may not have known this about me, but while I lived, breathed and obsessed over LOST, I had always been an obsessor of ALL things television! I love watching it, I love discussing it with other people, I love trying to figure out where stories are heading. Some shows it's easier to figure out than others. LOST, seems to remain an enigma. A show that people universally wanted to keep discussing after the hour of television airing was up. People would immediately leave their seats and run to a computer where they could read message boards, blogs, whatever to discuss what was going on. Personally, I could not even consider watching another show that night after LOST was over. I went straight online. Naturally, this eventually led to me starting to write recaps on the show. And I appreciate all of you coming to read them! Personally, I have desperately tried to hang onto that feeling that LOST provided. That urgency to want to talk more. I experimented during LOST's final season with recaps of FlashForward. But, the world did not seem ready to take on another complex drama where you had to retain lots of knowledge. FlashForward ended up being a pretty good show but the ratings kept dropping each week and the long 3, 4 month hiatus between episodes ended up sealing its non-chances of renewal. So, we all went into this new season of Television trying to find the NEXT Lost. We would find, and probably already knew, that this task would be impossible. However, that doesn't mean we weren't entertained and didn't find new or existing shows that could help fill the void. 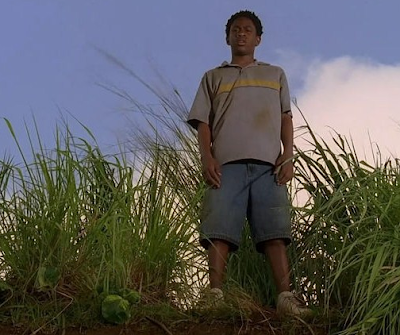 Here's just a rundown of a few shows that were there for us (for good or for bad) in the wake of LOST's ending. The Event - Yeah, it didn't work, right!? Like FlashForward, the show does have its good points. But, this "alien invasion show" (that was disguised as something else for awhile) seems to have failed to capture the world's collective imagination like LOST did. Its main problem was probably trying to BE LOST. The NBC Marketing Team called this a hybrid of 24 and LOST. It eventually turned more into a 24 type suspense show but not as engaging as its predecessor. There are hints of an interesting mythology in there that might have unfolded had this show gotten to season 2. But, people's patience does not seem to be what it used to be. And LOST probably could be blamed on such patience being thin. Not everyone is has happy about the way LOST ended as I was. And their reluctance to jump aboard another serialized show that, in their minds, doesn't pay off could be the issue. Granted, it's hard for me to compare a Filet Mignon (LOST) to a sirloin steak (The Event). The writing, acting, execution, production quality of LOST was off the charts. And looking at The Event in comparison was kind of laughable. That didn't make the show unentertaining though. For anyone who has followed my recaps, they know I tried to find a balance between our usual wondering what is going on combined with laughing at some of the logistics, writing and acting that have almost become an enjoyable part of the show. If anything, the show provided a nice holdover to the next season where more potential shows could try to help fill our emptiness! Oh, and in case you didn't know, The Event was cancelled! The producers are trying to strike a deal with another network (maybe even straight to Netflix streaming) for season 2, but nothing is a done deal yet. I'm speculating that it probably won't happen. FRINGE - Another JJ Abrams show that started cooking up interesting stories while LOST was time travelling away in season 5. Fringe took some time to find its footing, though I'd argue season 1 is still a fantastic season of television. No one who watches can argue that from the middle of season 2 through to the end of season 3, this show is one of the best television shows still on the air and matches LOST in terms of quality story telling. While not as mystery based as LOST, Fringe still covers a wide variety of ideas and sci-fi topics. But at the root, it is a character driven story about 3 particular people who are drawn to work together to solve very strange criminal activity through cutting edge scientific means. Fringe started off more procedural where episodes stood alone without requiring prior knowledge of previous episodes. But, as we have gone on the show has become much more serialized (a change for the better!). They still have stand-alone episodes, but the mystery resolved in each goes towards telling a larger story and it's a great story. I'd love to say more but I'm afraid I'd spoil something great for you! If you love LOST, the X-Files or just good drama, I highly recommend Fringe. If you're intimidated by catching up on 3 seasons before season 4, then watch the Pilot episode of Fringe and maybe the last 4 episodes of season 1. Then watch seasons 2 and 3. I promise you won't regret it. You have a whole summer to catch up! I recapped season 3 and will be there once again when season 4 resumes! Others - While I was knee deep in my obsession for LOST, I missed out on lots of quality television. Last summer, I caught up on Battlestar Galactica and Breaking Bad. If you haven't seen either, I highly recommend watching! Everyone will argue that the end of BSG isn't too great. And there are eerie similarities to the polarized discussion around LOST's ending as well. But the ride is just as enjoyable. Breaking Bad - I cannot believe I was missing this one. 3 gut wrenching character driven seasons of some complex human situations. Whew, this one is painful to watch but I cannot tear my eyes away. Some of the best suspenseful television on the air. My only regret is catching up on this one too quickly and having to wait over a year for season 4 to return this summer! Mad Men - Slow burn, but great television. It's hard to deny it after having already won 3 straight Emmys. Television at its finest. Although, I wish LOST could have stolen an Emmy in its final season! The Killing - For those who loved the mystery aspect of LOST, the Killing has one season long murder mystery going on. I have fallen a few weeks behind on this one, but I plan to devour it after May sweeps! AMC pretty much is churning out hit after hit. They have another one on their hands here! Game of Thrones (HBO) - Based on the George R.R. Martin book series A Song of Ice and Fire. When I heard this Lord of the Rings-type show was coming to HBO, I couldn't resist but checking out the books. I read the first book Game of Thrones, in which season 1 is based and it is simply fantastic. Lots of characters, lots of complex plots, and a whole brand new world of locales to learn. But, the material is fantastic. Watching the show without knowledge of the book, I admit, can be difficult. And there are lots of long winded scenes that maybe only readers of the book can appreciate fully. But watching all of these scenes seems to be heading towards a nice payoff for episodes 6-10 to finish out season 1. I hear some comparing this show to LOST in terms of appointment television. It is very good, but it might not be for everyone. Also, I'd advise everyone that the show is very graphic in more ways than one. Some of the content can be quite uncomfortable and I'm not just talking violence! It would seem like it's just HBO being HBO but many of these scenes are essential to get some points of the book across. I recommend the show, but I also recommend the books. (I can't speak for the 4th book which I know has been panned by fans, as I'm still reading book 2. Maybe the 5th one due out this summer will right the ship). The Wire - I have heard nothing but great things about it but never have had a chance to watch. I'm told it's the perfect show from start to finish. We'll see! Sons of Anarchy - Again, heard great things but never had a chance to watch! Looking forward to it. And the fact that it's streaming on Netflix makes it that much easier! Of course, the up fronts for each network were this week and there are some upcoming shows that look somewhat appealing. JJ Abrams is hard at work again, as are writers and cast who were involved with LOST. It seems they all took a year off from television and are back in full force. Here is a sampling of what there could be to look forward to in the next Fall/Spring television season. I'm going to borrow a bit from my other blog here. ALCATRAZ - The JJ Abrams show I have been anticipating will premiere on Mondays starting in January on FOX. I did get a chance to watch this preview and it looks fantastic! The show features Jorge Garcia (WOO! ), Sam Neil, and Sarah Jones in one heck of a thriller. I could try to explain the premise, but this trailer does the trick! AWAKE - Starring Jason Isaacs and is loosely based on INCEPTION. A man living in 3 realities. One, real life, and 2 others dream worlds where in 1 his wife is still alive and in the other his son (just happens to be Jack Shephard's imaginary sideways son!) is above. Preview looks very intriguing. The preview is attached below and here is a link to all of the NBC Pilot previews. Terra Nova - This is the FOX Dinosaur/Time Travel/Repopulate the species in the past show (Steven Speilberg produced) that just can't seem to get on a schedule. It was supposed to be part of the 2010/2011 season but now has the Monday slot in the Fall 2011 season. I'm not sure if both this and Alcatraz will have half seasons or if one gets picked up for a full season it may bump the other. Because there isn't enough real estate for both of them! This one has already been postponed a couple times and may eventually face budgetary/production issues. But, it looks pretty good from what we've seen so far. And I'm sure there will be plenty more. Nothing will fill the LOST void fully, but there is some great television coming our way and/or already exists. And, I'm not sure I'll ever be able detach myself from wanting to discuss things. Brilliant segueway to our final topic of the day! I definitely am planning to fill THE EVENT recaps with another show next season. Maybe Alcatraz, maybe Terra Nova, maybe both. I don't know! We'll see how things go. But Fringe and The Walking Dead recaps will continue. And, I'll always be discussing TV! Maybe some Breaking Bad or Rescue Me this summer! So, if you miss our weekly LOST discussions and haven't jumped over to the TV Addicts Blog yet, stop by and see what you've been missing! And I hope you stick around! Also, don't forget to follow me on Twitter (@TVAddictsBlog) to keep in touch with what I'm up to. And there is always an occasional retweet with news about TV shows we love too! Thanks LOSTPLACE! It was nice to have an excuse just write about LOST again. I miss it so much! Watched the finale again yesterday after I finished typing this up. It still holds up and is awesome. Great closure to a great show. I know there are divided opinions on that, but I can't help but love it! Thanks AUSW! I appreciate the compliments and always enjoy our discussions as well! As for season 5, I'll never try to convince you on the time travel thing. It created some really fun stories and it kind of fit into the mold of what LOST had hinted at and scratched the surface on. Daniel Faraday's mere presence on the Island was foreshadowing Time Travel not to mention Desmond's season 3 "key turning' experience and THE CONSTANT. It was a new way to spend time with the DHARMA Initiative instead of doing traditional flashbacks. As well as show the Rousseau backstory among other things. I thought it was creative and it ended up being one of the best seasons of LOST from start to finish. I loved the first half of the season, but after Ab Aeterno, things really started intensifying and building to the end game. I just thought it provided great closure. But as for a season with the biggest replay value? I gotta go with season 5. I think I've watched it 5 or 6 times now...it never gets old. So, I just can't be bothered by the logisitcs on if it makes sense or not in the scheme of the show. It made sense enough based on prior clues in prior seasons to provide us with a 17 episode awesome story. Haven't got to read the whole thing yet - but am exicted to get into it. MJ - No problem! Thank you for taking the time to read it! Thanks Cajun! Glad you enjoyed the look back on this great show. I'd enjoy a rewatch myself. Maybe I'll find time one of these days. Definitely will be looking into Awake and Alcatraz next year. Event recap is up. Probably the last one but it was a good time one last time if so! its funny i read the Jeff Jensen column and now i like the sixth season LESS than i did before..so i got to thinking of "why" and it came to me...I simply expected too much, and the writers forced me down that path..the "stuff" about Jacob/MIB just cluttered the story in a way that the creators THEMSELVES wanted there to be some type of higher purpose for their show..they WANTED the viewers to argue over whether "Tony Soprano got killed or not?" at the end of the show, but in the end, they wrote themselves into so many "WTF quandries" that all that was left was follow it with blind faith ("the poser fan boy route") or question their motives the entire time ("the hater route") and clearly we lie on different sides of the fence, but it all bore out from the same love of what was once a great undertaking: Lost..but it "lost" all of its meaning on the scale changed...you see it did have the slow buildup, but in the end the build up was to what? So you are the godlike being on the Island but you know nothing? You are still growing and changing things as you go just like the castaways? Then why do we care? and this is supposed to say what? the only thing I can compare it to, and this is pretty dorky so bear with me, is the Godfall saga that occurred in the Forgotten Realms books..the gods were cast down to the world and forced to be mortal and regain their followers before being brought back to the heavens, all done by the all father of the gods, an Odin type figure...stuff happened, gods changed, whatever..but in the end there is a throw away part that implies that it was not even the All Father god himself that did this, but that there was ANOTHER whole set of "god of gods" on infinitum that caused this, etc etc..so it never ends, and then you cheapen the experience because you ask yourself "well where does this all end?!" and Jensen is a cop out, or a fanboy, however you want to state it, an apologist..he spend YEARS of his life coming up with WACKY theories that we all read and thought about..and in the end is saying "oops guess i shouldnt have done all that, we should just love it for what it was"...HUH? !...why is that acceptable now? is he going to run off now and play with his Jar Jar action figures? does he watch Greedo shooting first over and over again and make excuses for Lucas? Honestly, thats the level that we are on with this...a story is presented to us that "removes the curtain", but in the end we have to blame the wizard for making the curtain to begin with right? @AUSW - I cannot deny that you make really good points. I'm never going to say LOST was the perfect show. But I will say that it's a show that told a complex, engaging story and produced it well. I was entertained for 6 years. I loved the experience of LOST. I loved theorizing with everyone even knowing the theories were most likely wrong. I loved discussing the show. I loved the characters. I loved the crazy sci-fi plots. I wondered how it would all tie together. Maybe that last one didn't happen the way we anticipated. And, I guess you can call me a fanboy there because I didn't care. In my opinion, they told a Story from season 1 to seaosn 6...and I enjoyed the ride. Mysteries were resolved along the way. Some are left to speculate on. Some are intentionally left ambiguous for us to create our own opinions. Yes, it could be considered a cop-out. It could also be considered - "anything they come up with won't be nearly as cool as we have each built it up to be in our heads"....and the reveal would probably be anti-climatic. It could be argued it was anyway. I choose to believe that everything they did on that Island "DID" matter. Jack even said the line himself. Yes, him saying it doesn't mean that we automatically have to buy it. But if they didn't accomplish the mission "that's it for all of us" - Jack says ....Widmore says "everyone you know will cease to exist"....very vauge statements over the final season that led ME to believe that this WAR brought to the Island is determining the fate of the world and everyone in it. The darkness that could get released would somehow impact the world. The light that is being protected is the source of Life, Death, Rebirth...and is one helluva pocket of Electro-magnetic activity in which the Island is resting on top of. Something tells me if that energy was unleashed...or whatever....it would have some major impacts to the rest of the planet. I dunno...it's just how I built it up in my head. That's MY interpretation. And everyone else could have other interpretations. They could have come out and just told us flat out what THEY interpreted as but they didn't. Maybe they never did have an answer...maybe they thought it would be too didactic...something they've said over and over again. Sidebar: DHARMA - Why were they there? Look at everything Radzinsky ever said. They were there to "CHANGE THE WORLD"...become the next Einstein, Edison...whatever. There were unique scientific properties on the Island and they meant to expose them. How did they get there? They were either summoned by Jacob somehow OR....maybe it was somehow tied to Magnus Hanso being aboard the Black Rock and Alvar being the financial backer of the DHARMA Initiative. Someone must have had knowledge of this place and found a way to get there. If someone were to revisit LOST one day and tell new stories...I'd love to see a DHARMA story told from start to finish. Only problem with that would be casting considering the actors would have aged and getting them all to sign on would be difficult. Maybe even a novel or novel series on it. There's a lot left open for an expanded universe to tackle. I know we disagree on a lot of this, but I figured I'd share my views anyway. The show kept me entertained for 6 years and maybe at one time I was seeking some GRAND PAYOFF in the end. But at some point during the ride, I realized that the RIDE was always going to be more interesting than where it's leading. And why wouldn't that be true about ANY television show? Why else would you watch every week unless it was a good show that kept you entertained? I can't imagine if people hated LOST at the end of season 3 and knew there were 3 more seasons to watch would have kept watching if they weren't entertained. And some people DID abandon the show. It was the LOST Experience that kept most people on board. I'm so excited to see such a long post for LOST with some stuff from the LOST Encyclopedia! You can count me with you as a fan who enjoyed the LOST ride, and your blog along the way. As always, many of us appreciate your efforts. Unfortunately, I don't have time to read it all now because I'm at work, but I will! I followed you to The Event, but I'm 3 episodes behind, so I've only been glancing at those posts until I finish watching. But, we all know that nothing will ever compare to LOST. All of our island friends have been missed! I dont think we disagree as much as you think, i think the level of disappointment is just there for me that is not there for you, remember im saying that Jeff Jensen basically said you are either a "hater" or a "fanboy", no shades of grey which is where id put myself..i feel the same way about Battlestar, the first 3 seasons are groundbreakingly amazing, but the last 1/2 season is abyssmal at best, and its because they sat in a room and said "lets do the final five cylons as this big thing" then it was revealed and was like "um ok what now, i know EARTH"..and its all downhill from there, but you can pinpoint to parts where the writers "thought they were bigger than they were"..thats all i say about Lost too...trust me other shows have it too.. Thanks for dropping in to say hi! I was excited to write more about LOST too. I wish it was another recap to get into, but we take what we can get. 1 year seemed like a good time to do something! Take your time with reading it, there's plenty of time! And take your time with The Event too...rumor has it there may be plenty of time there too! LOL Thanks for the compliments and enjoy the reads! Thanks for following the blogs.! Well, Jeff Jensen isn't the end all-be all of LOST Fandom. Yeah, he's a loud voice, but ugh...I remember in season 1 when his recaps would miss such key observations! He amped up his game in season 2 and went all DOC Jensen. But, I would disagree with being a hater vs. a fanboy. Yes, the fanbase is divided. But I think there could be people in a shaded grey area. I think what this all boils down to is that it must be really difficult to end these shows. With LOST, there's no question that they were flying by the seat of their pants for the first few seasons. Yes, they fibbed a bit and said they had it all figured out. I believe they did have an outline of where the show was going during season 2 and 3 but didn't fill in a more detailed plan until they had a defined end date. They didn't know how much more they'd need to expand the story. But when you're making a show that is interesting BECAUSE it always raises questions, it's tough to get into the business of creating answers that DON'T raise questions. Because you've trained the audience to ask questions about EVERYTHING! I fully sympathize with the pressure they probably had on themselves and by fans. BSG....I dunno...i watched that all straight through, so I probably didn't realize the deterioration as much as other fans who watched week to week. But I will agree, in hindsight, the ending episodes seemed a little weak compared to the first few seasons. Thanks for the one year post! I haven't re-watched anything Lost-related since the epilogue. I miss it so much though... maybe I'll watch the finale again soon. Hope I don't get too depressed after :). No problem Bryan! After I watched the finale, I actually watched the epilogue again too. I really enjoyed the epilogue on a 3rd viewing without any expectations from it. It was a fun 12 minutes of additional LOST-ness! btw... Doc Jensen posted his part 2. Not a bad read. I posted this on another Lost blog and figured I should share this question I have with you. What did you think of Christian's appearance to Locke in the past before Locke turns the donkey wheel? Did MIB time travel or was it a continuity error? Great question Luke! I've definitely pondered it myself. I don't necessarily think it was a continuity error. But it definitely wasn't explained very well on the show. I'll have to consult the encyclopedia at home (too big to lug around everywhere lol) to see if they say anything. But here are my thoughts. Anyway, what if the area where the wheel was transcends "TIME"??? Kinda like the whole sideways land transcends time. "There is no WHEN....HERE" If that was the case, MIB could appear to Locke. Or maybe the smoke monster can freely move throughout time...i have no idea! lol But I've definitely thought about it. You know what? 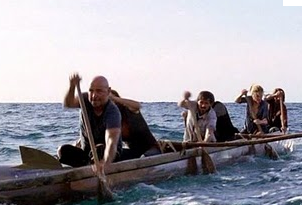 I'm starting to think the island moved one more time when Locke turned the wheel...putting the other losties in 1974 and Locke in 2007. Because I think when Locke was down in the Donkey Wheel cave...the other guys were back in time where the statue was still intact. Then when he turned the wheel....they all moved to their next destination with the wheel "spinning on the turntable" normally again. So was Locke in the "STATUE" time as well? Or maybe he went to the present-2007 timeline when he fell. There are different ways to explain it I guess. And maybe Damon/Carlton didn't feel it was important to explain....it all went along with their mystical island where strange things like "smoke monsters" exist. But, I'm definitely intrigued enough to check the encyclopedia when I go home to see how they explained it...if at all. I'll let you know what I find out! That's a pretty good thought. We know exposure to the light moves people through time/space like it did to Desmond, Locke and Eko at the Swan Station. I have to re-watch that scene again. they couldn't harm or kill each other the Source course corrected by merging MIB's soul with the smoke. The Monster was tied and bound by the Island and Jacob's rules but also had powers that were related to the Source. so he could kill him and be able to leave the Island permanently. Luke, interesting ideas with Smokey. I guess sometimes I take what they say on the show literally...like Man in Black said something about "losing his body" and "not wanting to die" in season 6....so it sounded like he wasn't exactly "DEAD".... he COULDN'T die...based on the mother's rule. So I like what you're saying that the source corrected this. (of course, it's still up for debate if Mother was the smoke monster before too....i think she may have been both protector AND smokey..."aka security system"...because it is the only way to explain what she did to MIB's "friends" after she found out they were digging and creating that crazy donkey wheel! As for MIB communicating with the dead...well it makes sense in the fact that he could assume the likenesses of the dead and that he had contact with the source (of life, death, rebirth) becoming ol' smokey...but it doesn't make sense in the fact that he could NOT leave the island. His whole mission in life was to get off of that island. So for him to just show up to Jack "OFF ISLAND"? I just can't buy it. If we never knew that tidbit about him....then I'd totally say it's fair game. But...I see how you get around that by saying he broke the rules for short periods of time. I guess that's possible too. Well, I watched scenes from "THIS PLACE IS DEATH" and "LaFleaur" to be clear on what happened when. It would appear that Locke was in the same time as Sawyer and crew when he falls to the bottom of the cave. And that time is the STATUE TIMELINE...whenever that may be. Once he turns the wheel, they all move to their new destinations. "Until Jacob's death, the Man in Black had the ability to take on different forms at will and also be in two places at once. He used this ability when he used Christian's form to manipulate Frank Lapidus and Sun at the Barracks telling them to follow Locke - the form he had also taken. While in Christian's form, he told Locke to 'Say hello to my son' as Locke turned the donkey wheel. This was a smart manipulation, as it ended up exacerbating Jack's feeling that there was something deeply wrong about him leaving the island, especially if his dad was alive." So, I guess we just have to accept that somehow he was able to do it. I dunno. LOSTpedia (the website wiki, not the book) says the opposite and claims that the appearance in the cave was actually Christian. Which totally contradicts it's comments that the MIB told Locke to move the island. It has to be the same person that did both...which means it HAS to be MIB because it was part of his elaborate scheme. But at the same time, there are still massive debates on LOSTpedia around Christian Shephard mysteries. It definitely doesn't all add up. That was either intentional by the writers to make Christian some sort of enigma that defies rules....or they just had no way to tie it together lol I have no idea! But I still love debating it! And in the end, that's the beauty of LOST to this day. Yes, I've read the theories that Mother was also the Smoke Monster. I can agree with that, but there's also the possibility that she merely summoned it much the way Ben did to stop Widmore's mercs. Games and rules was a common theme in Lost. Ben and Widmore were playing a game of who controls the Island. According to the Lost book, they had an agreement they would not harm each other or their families directly. Widmore broke this rule, in Ben's eyes, by sending the mercs to the Island who then in turn killed Alex. So then Ben set out to break the rules by killing Penny. Later in Season 6 he ultimately kills Widmore himself. Also, another example was in Across the Sea when young Jacob and MIB where playing senet and MIB accused Jacob of cheating and stated when you make your own game you can make up your own rules. So much as Jacob cheated at MIB's game, so did MIB (or at least that's where my theory of MIB appearing off Island comes from). Even Jacob cheated at times. He didn't want to directly interfere with people coming to the Island so he eventually had Richard do it. But we see that he ultimately encountered the Losties and touched them because he was pushing them along a particular path. So for all his talk of free will, he still made some choices for them; to put them in situations where he hoped they could make the choice to stop MIB and take Jacob's place as protector. MIB, who believed in fate and humans making the same decisions, was strong willed in leaving the Island. So my theory about Christian being MIB off Island stems from the idea the MIB would cheat to win. But if it wasn't MIB, then why did the smoke alarm go off when Christian appeared to Jack? I took that as a major clue as to Christian's true identity. Or was it just meant to get Jack's attention? I personally was very satisfied by how it ended. 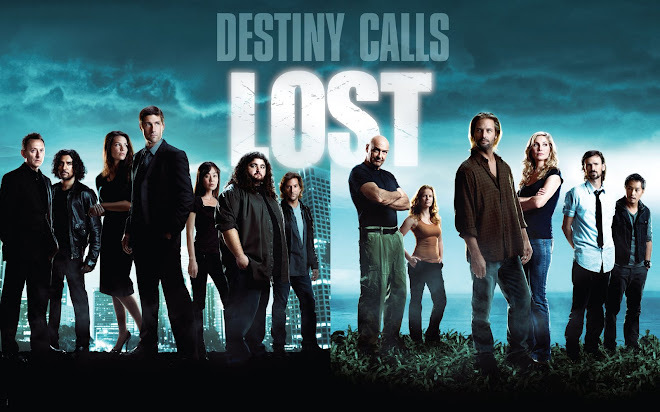 The show was called Lost for a reason because we don't get everything in life (including the answers). Very true that Mother could summon the monster similar to Ben too. But, did the monster EXIST before MIB? Or was it corked under the earth bundled up in that pocket of energy (i.e. the source)? Hey...i pondered over that smoke alarm for years....even posted a poll on this site asking people if they too thought it was smoke monster related. I seemed to be in a minority at the time..but I pondered it all the way until season 6 of lost when we were told that MIB never had been off of the island. I totally get what you're saying that people can break the rules and "cheat"...it's a very compelling argument. But, I just can't accept that MIB was able to leave the island. They made such a big point of it in season 6 that there must have been something preventing him from leaving. Yes...it was Jacob's made up rules but maybe there was more to it...like him being a column of smoke that takes the form of dead people! The encyclopedia (approved by Damon/Carlton although I'm sure they didn't read the whole thing lol) has gone as far as saying that Jack was seeing things...and it stemmed from him seeing his dead father walking around on the island. NOW....if we were to argue that at the point in which they wrote season 4...they intended that to be the smoke monster....i might agree with that. But with what they wrote in the final arc of the show....it seems that THAT would supercede what we (and they) previously thought. But I love the thought process and I think it's a logical way to look at it. So, it definitely is a plausible interpretation. and I don't think the encylcopedia is infallible, especially based on what I said above. There's no way that the entire book was proofread and approved by the powers that be. I'm glad there were others out there that were satisfied by the ending. Although, I do feel like the comment by Darlton (referenced by you below) sounds a bit cop-outish..."in life there are no answers so this show is like life" I still love how they tied it all together. I never expected there to be an answer to every mystery that would satisfy us. The answers to those questions built up over 6 years would only lead in disappointment. Damon, Carlton, JJ, the whole writing team...are mere mortals just like us. I'm not sure what they could have come up with that would satisfy every audience member of LOST who each had their own checklist of questions (that may never have been considered questions by the writers). I just don't know who would invest 6 years into a show without enjoying the journey towards that end. The REWARD was the journey that they took us on, the conversations we had along the way. We all DREADED the end because that journey would be over. And why was the journey so good? What made this ridiculous show seem so plausible? The Characters that we grew to love over 6 seasons. I thought it was a perfect decision to give each one of them a grand send-off throughout the final season. It was a character-centric show from day 1 (and I'll argue that season 4/5's temporary stray from that was necessary to move the plot forward) and it should have ended the same way. Awesome, legendary show with a beautiful ending. Thanks for your comments Luke! Always fun to revisit this stuff and debate/discuss! So great. I am celebrating the one year by re-watching the show on Netflix. It is really great the second time through! I've been going through and watching season six again. I really did like how they ended the series. I like how they ended it on a definate note. So much better than having the show be open ended. I was a huge fan of Lost. Every season i give 5 out of 5. Except for season 6. Which i give 1 out of 5. The reason being is because it was the most basic and easiest ending to come up with. They had none of the skillful writing that they did throughout the series. At the end of every season i wanted to go back and watch it because the final 5 minutes were brilliant and it made me want to go back and start watching it again. With the last season i only wanted to watch it again because how stupid it was. and i really wanted to make sense of it. Who was Walt and why was he special and why could he do what he did in those episodes is one big question unanswered. but a bigger question is who was that man in the CABIN. When locke and Ben went to the cabin and it shook and you saw a glimpse of jacob. they never explained any of that. why jacob was so mad. or was it jacob at all? the show was so good and on its way to being the greatest drama series of all time. but it crumpled with expectation. the writers and creaters blew it. they were scared to release the original idea they probably had and gave us a ending a 10 year old could have wrote. anyone can write a great show without a ending. leading on its loyal followers week to week. but the creaters lied to all of us. they said it had nothing to do with purgatory. and the last season was 100 percent about purgatory. The funny thing is if you take away the entire flash sideways part out of the last season and just had the normal show with the killing of the man in black and saving the world by putting the cork in the island. that would have been a better ending. the last season island storyline was actually great in my opinion. the sideways storyline was great too until we found out what we were actually watching. any true fan of lost would be extremely upset with the ending. thats how bad it was. Oh good, soomething to respond to! Everyone is entitled to their opinions, but let me see what I can do here. I discuss Walt above in the post as well, no need to restate my thoughts on that. I discuss who was in the cabin above, no need to restate my thoughts on that. (I'm guessing you didn't read the post, right??? lol) Short answer, it was the Man in Black...they didn't have to TELL us that answer because it could be derived based on a bunch of events that happened...all detailed above. Why was Jacob so mad??? He was a human!! they showed us that he was a man just like us. And a man that lived a life of seclusion after his brother killed their "mother"....a mother that bestowed upon Jacob something that she thought she was going to give to his brother. A mother that treated Jacob as less than an equal to the Man in Black...the reject son that never got a name from his true mother because she only wanted Jacob. Jacob got the shaft...why was he mad??? It was all in the show. Still is the greatest drama of all time to many people. But the ending was pretty polarizing. Some people were expecting a lot more. There was no way to please everyone. You have to respect that a lot goes into making these television shows. They may have semi-lied to us about "knowing where it was going all along" but they HAD to. They had a lot of ideas to get them through that first season but it wasn't until that off-season where they really started developing the mythology. And by the 3rd season, they knew what they wanted to do but needed an end date. And when they confirmed the end date, they executed their idea to completion. The final season was not 100 percent about purgatory. And it wasn't even purgatory. It was "LIKE" purgatory but not exactly. The sideways universe was a place designed for all of the "chosen" losties to meet up whenever they died. And then they moved on. To what? eh who knows. I like to think they went back to the SOURCE. (the energy on the island of life, death, rebirth). The sideways universe was all about CLOSURE. Coming full circle on how the show started and giving the characters we loved a proper end. And it was beautiful. Was the whole season of sideways executed perfectly? No But the concept, to me, and many others was great in hindsight. So you didn't like THE END, but it sounds like you really loved the show. And that's great! Don't let how it end detract from your enjoyment of the journey that got you there. The reward wasn't in the ending. It was having a show like this to watch on a week to week basis, discuss with friends, people all over the world and just obsess over. The journey was one of the best things I've ever experienced in my TV viewings over the years. That's what I'm taking away from LOST and I can't wait to watch it all again. Sorry you don't feel the same way! I get your point. But it still was a really bad ending. lol. Listen, im not like other people who didnt like the religious angle of the last season. I believe in God and im pretty religious even though i never go to church. lol. but seriously it was like watching 2 different shows merged into one. if the last season was all about the island and if you take out every flash sideways scene then you have a great season including a great ending. If every scene off the island for the whole 6 seasons was actually a flash sideways and part of the PURGATORY storyline then the ending would have been a masterpiece. BUT. The flash sideways scene had no relevence to any scene in any episode of any season except the last season. I think everyone in the last season was really looking forward to seeing how the flash sideways was linked to the on goings of the island. was it the future or the past. was it another reality. was it if they had never met. was it as this they had never bordered the plane or the plane never had crashed. but when they revealed to us it was just they're souls wondering around waiting so they could go to heaven together. as beautiful as that sounds for another tv series this serious made reason for it to be in this one. the problem is i could go back and watch every episode and it still would not be relevent. because it was only relevent for the last season. im a true lost fan. i convinced alot of people to watch this show. even some people i who i convinced just before the last season ending i had to tell them not to watch the series because i said to them as good as the show is. the ending was the biggest cop out in tv history. like i said. if you take the sideways flashes out. and maybe even changed the fact that they killed john locke which was stupid. because he was a fan favorite. and the fact that they killed MR eko and ana lucia. besides all that it was a great series. but i would not recommend it to anyone though. what was with Hurleys girlfriend being in the mental institution with him in the earlier seasons??? Hey, I'm not going to disagree with you that they left things open-ended and yeah...they definitely copped out on some stuff. I also think that some things were built up in our collective minds as important and they may have never been also. Maybe one day, they'll decide to just do a Q&A with the fans and they can say A. we never had an answer to that, B. we planned to answer this by, C. it was already impled by the show...but for now they're sticking by "the show speaks for itself" ... I guess I'm just sympathetic to what they had to do. They had an obsessive fanbase and not everyone is going to love whatever they decide to do. I've seen enough interviews and read enough about these people to know they're human just like we are. They didn't have some almighty strategy of how to bring this show to a close and they probably didn't realize the beast they were creating as they dove deeper and deeper into the rabbit hole. But like I said, I enjoyed the ride so I'm a bit forgiving with what they left open-ended. Maybe that makes me too easy on them....but I still enjoyed what they created. Now into some of your stuff below. I kinda disagree with your thoughts on the Sideways world being something new to LOST and unrelated to anything. In the 6 seasons of LOST we had questions on Ghosts, Dreams and what not. We always thought there would be some scientific explanation to them all. For "SOME" of the ghosts, it ended up being Smokey/MIB. But for others...they were not explainable at all. Was Hurley really talking to Ghosts or was it island manifestations? How was Miles reading the dead's final thoughts? What are these crazy whispers on the Island? All had to do with LIFE after death. These were questions I asked since the first season and I really thought they were never going to answer it. But it turns out that season 6 was one BIG answer to all of it. Charlie's appearance to Hurley at the mental institution....I now assume that this was an "awakened" charlie who has "MOVED ON" into the light. He is one with the source or whatever and since time has no relevance to the dead he can appear to Hurley at a pivotal time in his journey. Could be a big assumption but it works for me! I also don't believe that the end attempted to prove any existence of GOD, just that there's something after death. The stained glass window showing all faiths kind of went towards that line of thinking. And I think that that whole sideways world was somehow island related with the source/light/whatever. I understand your frustration about how the sideways seemed pointless....and I think they could have done that whole scenario in less than a whole season. But they had to follow the formula of character centric stories like they did in seasons 1-5. I know when Jack first said "i died too" in the finale....I was like "REALLLLY!?!?!?!!" But then in the next 5-10 minutes, I found myself a weeping mess and applauding them of how it all tied together. Kind of like how when the screen went black in the Sopranos I was like "REALLY!!?!?!?!?" and then 10 minutes later I just thought it was brilliant. But hey, it's just an opinion and we all have one. Some people were truly upset by the LOST finale and that's totally warranted. I just hope these fans come around and remember the good times of the show. (which it sounds like you still can...upsetting that you won't recommend it to anyone though). Her husband's name was David (we find this out when she gave the boat to Desmond). David died. Hurley had an imaginary friend named Dave at the institution and on the island. I'm guessing that the DAVE is the same person, but I could be wrong. And was Dave a ghost? Because we know that Hurley can eventually talk to the dead. Was that pre-island too? Why was Libby crazy in the institution? Maybe it was the way Dave died that put her in there. there was definitely more story to tell there. And maybe if they didn't kill her off they had planned to cover that in season 3. But alas, they killed her off and she got a new show. So they couldn't get her back until the final season. That is one that I'd like explained from the producers. I only regret with a better ending it could have left a bigger mark in television history. It could have been like what the sixth sense did for movies at the time. thats what i wanted with the ending something similar to the sixth sense that would make me jump out of my seat and make me want to watch every second of every episode again. the season one finale and the season 2 finale. and especially my favorite lost episode of all time. Mr Eko, Sawyer, Ana Lucia, Locke and desmond. These are memories that wont go away. My worst was when Michael killed Ana Lucia. Great episode but i still thought it was a bad idea for Michael to do that. It kind of wrecked his character. and killing off ana lucia was stupid because she was a pretty well known actress that made the show seem a bit bigger then it was. plus she was the most misunderstood characters. i think most people wanted that wow factor or atleast leave the show with a huge question mark like maybe it wasnt the end after all? i think the stained glass window reference was a god reference. you had symbols representing most of the worlds faith. and we know muslims, christians and Jews all believe in the same god. so i think the reference was that the room in the church was full of people of different creeds, faiths and background that they were all linked not only because of the island but because of the afterlife. no matter if your jewish or muslim or whatever. theres only one god. anyway i could be wrong. you never know we might get a spinoff show or a movie out of it. I think some people would argue that the ending was very fitting and deserving to leave a as big a mark as expected in television history. But clearly, the ending was seen differently by many people. You see, I thought we were way past the "BIG TWISTS" in the LOST story by the time we got to the end of the show. Many people were expecting for some shocking thing that was going to tie it all together, and that just didn't exist. And I can only imagine the pressure that damon and cartlon felt on delivering that big WOW. I just never thought that any twist could have topped "WE HAVE TO GO BACK" at the end of season 3, essentiall the MID-POINT of the show. The whole time we were geared towards the thinking that they needed to leave that Island, but that cliffhanger in season 3 was a total game changer and totally changed the conversation. Seasons 4 and 5 were fun stories but we essentially knew how they were going to end....season 4 was the O6 getting off of the island, season 5 was getting them back and then back to the present day to bring the story to conclusion. At least, that's how I always expected it to end. I didn't think they'd be REBOOTING TIME or anything like that. The rules were already established for time travel in season 3. We both share our favorite episode of all time. The Constant is my favorite Non-Finale episode. For favorite episode ever I always go back and forth between that one and Season 3's finale "Through the Looking Glass" Both excellent episodes for very different reasons. I cannot fathom how you got so attached to Ana Lucia. Maybe it was because you like Michelle Rodriguez, but in my opinion (and many others) people just did not connect with her character. She was supposed to be a love interest for Jack but by the time we got through the Talies episodes, the fans would have never been able to accept that! As for Ana Lucia living on...many people think she was written off because of her DUI. And maybe that's true....but they always have said that they had a 1 year contract for Michelle so they had always planned on killing her off at the end of season 2. It wasn't supposed to be a KEY role or anything. Eko, apparently they had bigger plans for him but Adewale wanted off of the show. He was homesick. Instead, Ben got more flushed out in season 3 instead of Eko..as did Juliet. And it's hard to complain about that since they turned into such great characters. But I too loved Locke, Desmond and Sawyer. I think I was always a sucker for the natural hero though with Jack. He had such a great story through the 6 seasons. People hated his arc from season 3-5....but it was essential to show this man go from reluctant hero to broken man to tragic hero. Great stuff. The producers had one thing in mind when they worked towards the end of the show. A DEFINITIVE ending. They didn't want people questioning if it wasn't the end. They were very clear on that. They wanted to tell their story. Sure, there is room to expand the universe if anyone ever wanted to but their story is told. The stained glass window reference can be whatever you want it to be. Sure, the end was in a Church but the show still did not attempt to prove what faith is correct and even if there IS a God. They just showed that there was some kind of afterlife..and it may have been simply returning to the source...not walking off into the light and going to heaven. That's up to everyone's interpretation. But I still think the ghost appearances on the show are our characters "AFTER" they've moved on. So, I think showing the sideways world was NOT a waste of time. Damon and Carlton are pretty clear on the fact that they told their full story so they had no plans for a movie or spinoff. 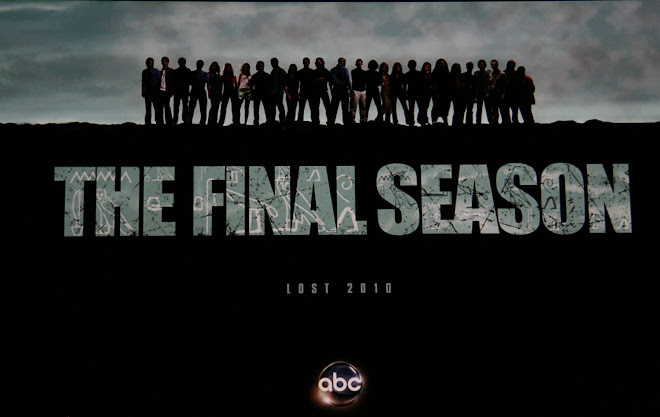 But ABC owns the rights to LOST and if they decide to do something with it one day, something may happen. I think they should go the route of Novels, Video Games, Theme Park rides,etc... And maybe one day, someone could reboot it into a movie or TV franchise (a la J.J. Abrams rebooting Star Trek or BSG being rebooted for TV). But that would be way down the road. But yeah...you never know if something else may happen too. Thanks for sharing your theories, what you loved and what you hated! Good discussion! Awesome "new" lost footage that darlton brought to comic-con this year. Hysterical! Re Hawkings knowing about the man with the red shoes. After Faraday learned that Desmond was his constant he must have asked Des to share all his time travel experiences so he would have discussed events of FBYE. Faraday would have recorded this in his diary, which ended in Hawkings hand, whiushuaia how she knee about the man with the red shoes. Although it was never said in the series and it isn't part of canon, one thing I accepted about the original survivors was their capacity for interacting with apparitions or the afterlife. For some, like Kate and Sawyer, that capacity never manifested itself very strongly, but for others like Hurley, Michael and Jack, it did. If you think about it, Jacob could have found millions of people in the world who were leading unhappy, broken lives and chose to bring them to the Island. The fact that he chose the people he did is because he saw certain attributes in their souls that made them stand out from everyone else. Then he personally laid hands on them, which exacerbated their innate gifts. (I can even imagine that Jacob laid hands on all 70+ survivors at some point in their lives, even though the show didn't show it. They were all on Jacob's list at the beginning). And after they lived on the Island, their gifts were honed to an even higher level. Of course, this my own personal explanation to myself. So I didn't need much explanation of how Jack saw Christian in the medical office or Michael saw him on the freighter. The Lost Encyclopedia chalking up these encounters as "visions" doesn't deter me from feeling the way I do. As you said at the end of your section on the Lost Encyclopedia, I'm not holding many grudges about what the show did or didn't explain. I never did. By the end of the finale, I had all the answers to all the questions that really mattered. And I had enough evidence to make up satisfying answers to questions that didn't really matter anyway. Reading about the shows that you tried to replace Lost with the following season makes me want to pick Fringe as the next series I'll watch, but I'll hold off until season five makes it to Netflix. That should only be in a few months. I'm already big time into The Walking Dead, Mad Men and Breaking Bad, so I'm set there as we discussed several posts ago. As soon as season 3 of TWD shows up on Netflix, I'll catch up and then be watching season 4 live like everyone else (and likely commenting on your new blog). As you know, I did watch Alcatraz. I also watched Awake, which was another series that didn't get its proper due, but even its single season holds up pretty well as a mini-series. I'll be sure to drop by TV Addicts Blog and let you know I'm around. I've already taken a peek at it and it looks like the type of community I would enjoy being a part of. So this is not good-bye by any stretch, plus we still have to wrap up our discussion of Lost. As you can imagine, I'm in no particular rush to be finished with that part of my life. Oh, and you can be sure I'll be checking in with your Summer 2013 recap of Lost on TV Addicts! I might be a touch late to the game, but I'll be happy to lend my thoughts! Agreed Miles! Your take on the apparitions makes as much sense as anything I can come up with. It works! And that's all that matters. As for the rewatch, wasn't so much a recap as an ongoing discussion in the comments! But I'm sure you'll catch on. We'd be happy to have you in our ongoing tv discussions! Fringe - you'll be happy to know that all 5 seasons are up on Netflix already! Enjoy! Interesting, I'm on Netflix right now and MY Netflix only has four seasons of Fringe. Maybe I'll contact them and inquire why that is. Of course, the last time I wrote to them (about video quality) I got no reply, so I'll call them like I did last time and grill customer service. Spoke too soon! I could've sworn I saw it. Maybe it was on amazon prime. Sorry for mixup!